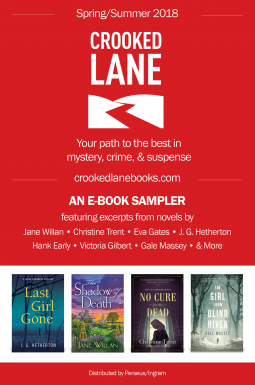 Loads of reads to look forward to (Crooked Lane) – Joyce's mystery and fiction book reviews with some non-fiction too! This preview volume is a great resource! Approximately 26 upcoming mystery novels are given a summary and preview. There is great variety including cozies, PIs and historical mysteries. I have added quite a few to my TBR pile including ones with protagonists like Florence Nightingale, Alice Roosevelt and Abraham Lincoln. I have read some of the cozies already and enjoyed them. If you are unable to access this title which I got from NetGalley, I suggest that you look at the publisher’s website for a solid list of upcoming books. For a new publishing company, they are doing a great job!